One of the most common design mistakes people make is forgetting the difference between ‘data’ and ‘information’. Simply providing access to data or displaying any available data on a subject does not make for a well-designed dashboard. Data needs to be presented in a format which transforms it into information that can be readily consumed. It is important to remember to design around the business process and not around data. Also, information in an application should flow in a way that reflects a business user’s train of thought. KPIs: Present up-to-date information on critical business metrics and put the most relevant information first. Trends: Show performance over time to add context. Comparisons: Show these based on time, geography, or other natural hierarchies relevant to the business process. Alerts or exceptions: Quickly communicate whether something is excellent, horribly wrong, below or above a threshold—anything that should spark an immediate action. Relative performance: Present information in relation to other business metrics/functions, internal competition-fostering metrics (ranks), and competitor information, if available. If applications and reporting suites are difficult to use, users won’t want to use these tools, and critical information will go unused. There is nothing more frustrating to a business user than interfaces or workflows that disrupt the ability to get the job done. Rather, applications should be intuitive enough to drive user adoption while encouraging people to make decisions based on timely data. Keep it simple! Follow the basic guidelines of design discussed in the previous blogs of this series. Arrange the information in a way that makes sense to a business user. Use data subject areas, time granularity changes, ‘Cause and Effect’ relationships, etc. Group metrics or information that goes together to paint a story. Always provide a link to a FAQ page that explains the metric definitions. Avoid folder navigation. Use dashboard linking to create a workflow. Always provide a way back to the previous screen. Minimize the number of clicks to find answers. Make the app mirror a business workflow. People naturally want to interact with an application to explore information. They want to slice and dice, drill to, drill across, etc. In MicroStrategy, elements that provide interactivity include: selectors, panels, interactive features of a widget, layouts, info-windows, drill downs, navigation, and more. With so many choices to make an app interactive, it’s easier to point out what to avoid in order to keep your application interactive, intuitive, and easy to use. Too much of anything is a bad idea! Focus on what’s important. Make everything navigable within 3 clicks. Don’t use more than 3 selectors. If you have more than 3 selectors, use the Filter panel so that the interface is not overcrowded with selection options. Only use info windows on certain elements. If you think that the user will always click/tap on an info window, then that information should be presented upfront. If there is a drill down enabled, the users should always have a way to get back to their previous screen. It’s all about form AND function today. Invoking one without the other can be a detriment to user adoption. To achieve this goal for dashboards and apps, I have always found it useful to work with a graphic designer. Remember to keep in mind the basic principles we have already discussed in the earlier blogs! Create a sense of pride and ownership by using corporate logos, corporate color palette, etc. Use updated icons, sleeker buttons, etc. Revisit older dashboards to update them for modern UI/UX looks. Use Icons in place of words. Let the Information be the most of the “wordy” content on the dashboard. Avoid using a lot of darker colors together; use contrast to increase text visibility. Use gradients of the same color instead of contrasting colors. In the very first blog of this series, we established that visual dashboard design is successful if the user can identify a problem, determine why it occurred, and quickly decide what to do about it. So our dashboards should ultimately support this by being deductive and actionable. There are different ways to deliver “deductive” quality, depending on the user. Some users like to be presented with the final inference from data (high level executives, senior leadership, etc.) while other users, like functional analysts, may need access to a wider swath of data to be able to ask ad-hoc questions. Thus, you will have to adopt different tactics tailored for each audience. For analysts, consider integrating Visual Insight into the dashboard suite (more to come on this topic in the later blogs). MicroStrategy Transaction Services provides the “actionable” function for a dashboard. Integrating in the ability to take action within the app makes it a true workflow-based app. A user can now see the data, figure out the next steps, and actually do it all in one place. Preferably, keep the number of actions on a dashboard limited to avoid overload and confusion. I have been working with MicroStrategy in many opportunity. The differentiate or special things about MicroStrategy is no 6. MicroStrategy offer something that isn't owned by any vendor right now. It is transaction services. It allow user to do some action and create "simple" apps on the top of the Analytics, right beside their dashboard. 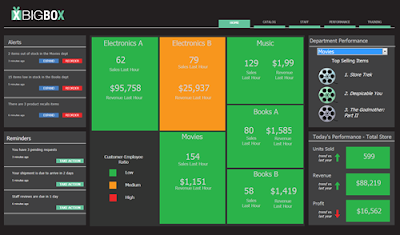 MicroStrategy offer very custom dashboard that can be built with your style and creativity. Although the development is not as simple as other vendors, the functionality and customization is very rich. There is also an offline capability where you can set up at the development so the users can enjoy the dashboard and transaction without being worry of the internet access. You can enjoy MicroStrategy on iOS and Android. MicroStrategy offer native mobile application, so you can access your data and information on the go.